Â Â I recently purchased 2 sets of these chairs to go with a kitchen table that I had made. The chair style matches my table so perfect. These chairs are very well constructed. Perfect, just what I was looking for! Â Â I bought this set of two side chairs for my formal dining room. The chairs are absolutely beautiful and matches the decor in my dining room perfectly. Â Â These chairs are big and robust and they will go great with my new dining table. With 3 children from 7 to 17 I couldn't ask for a better value. Very sturdy and well made!!! 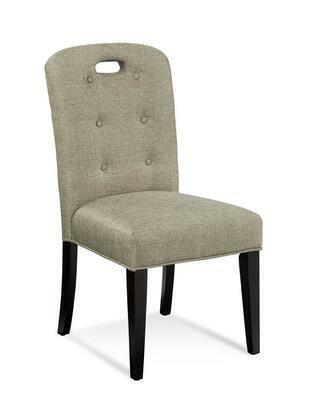 Bassett Mirror chairs are so gorgeous and very chic. We absolutely love the way they look with our dining table; the wood matches almost flawlessly. Bartlett Chair material is soft and they are firm but comfortable. Very satisfied.